Hi Friends, I hope you all had a wonderful weekend! Our temps finally went above the freezing mark and dare I say that it actually started to feel a tad bit like Spring time. I am just waiting for that day that it's warm enough to finally open the windows and air the house out. Keeping my fingers crossed that day is here sooner than later!! 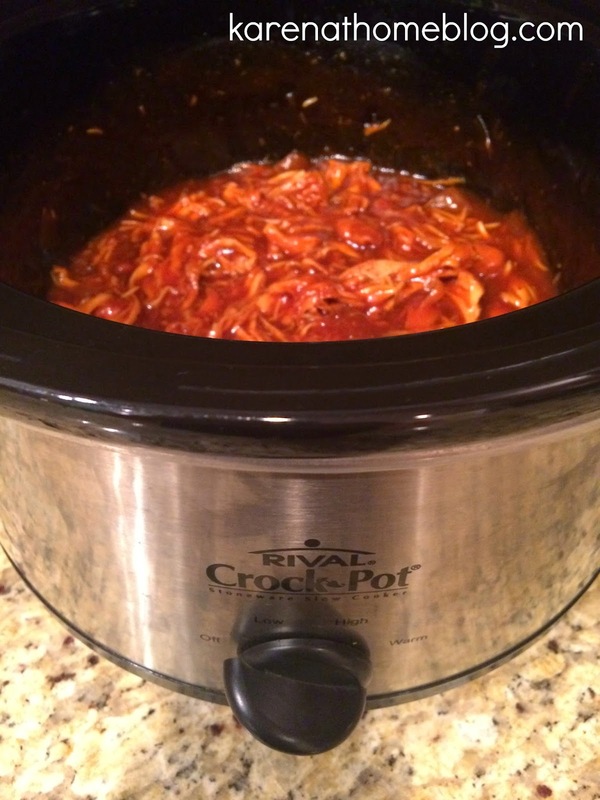 I wanted to share with you a simple an easy Shredded BBQ Chicken recipe that you can make right in your crockpot. 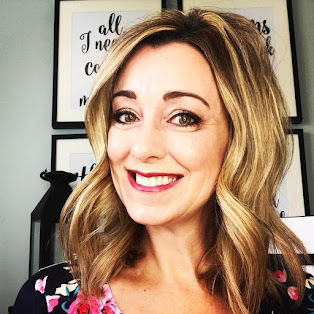 You know I am all about simplicity...so when I find a recipe that has only 4 ingredients? And it tastes amazing? Love it!! Another great thing about this recipe is that there are numerous uses for Shredded BBQ Chicken...you can use it in sandwiches or even throw some right on top of your salad. Delicious and super healthy!! 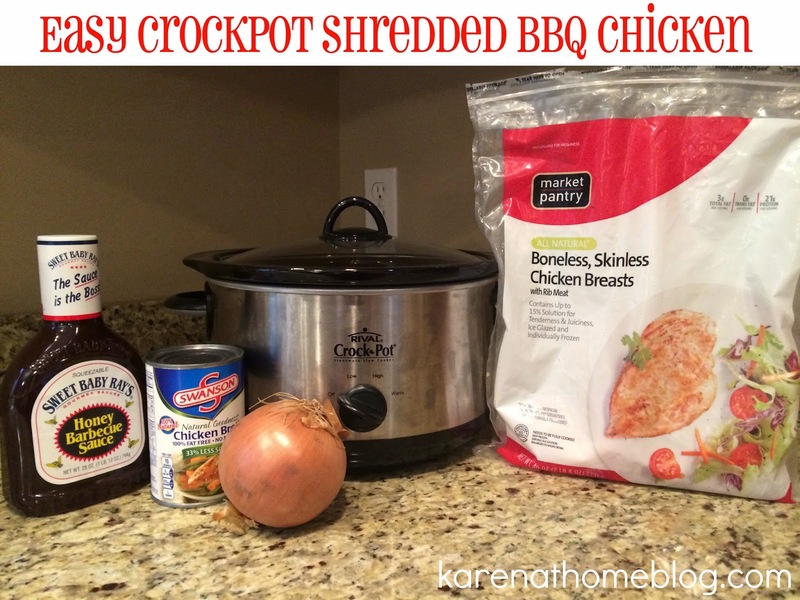 All you need is Boneless Chicken Breasts, Chicken Broth, your favorite BBQ sauce and an onion. Easy peasy, right? 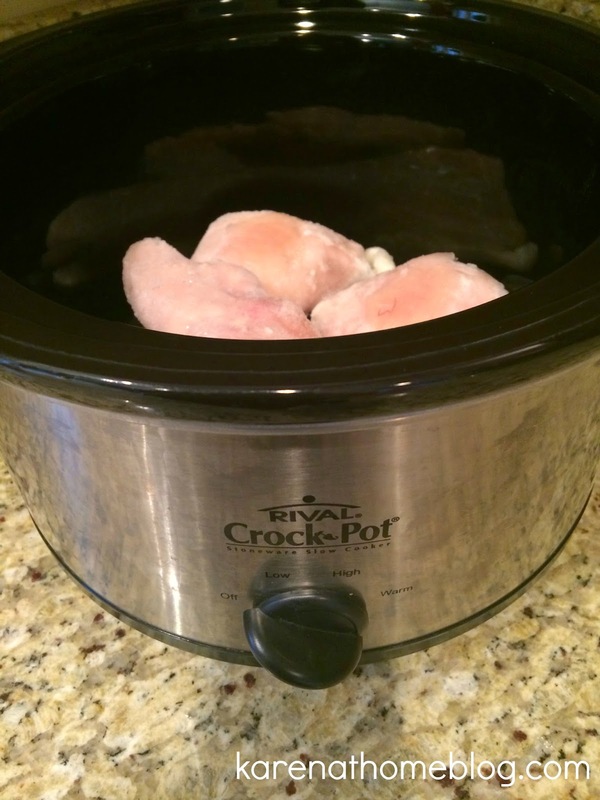 Place the chicken breasts inside the crock-pot...OH, and did i mention you can pop the chicken breasts in frozen? I do that all the time! Chop up as much onion as you would like and place the chunks on top of the frozen chicken. I prefer a lot of onion but you can judge the amount to use that you think your family would enjoy. I pour in enough chicken broth to cover the chicken breasts, I typically do not use the entire can, probably use around two-thirds of it. 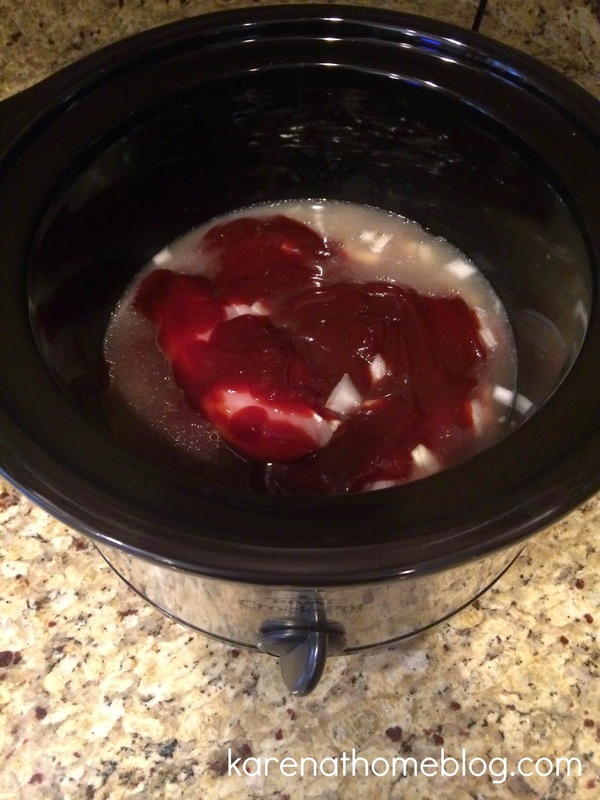 I also squeeze around two-thirds of the bottle of BBQ sauce into the crock pot as well, covering the chicken. Cook on low for around 6 hours. When the chicken is done, set the crock-pot to warm and shred the chicken, using 2 forks. The chicken will start to absorb all of the extra liquid and create an amazing, tangy, BBQ sauce.